Tassels & Tastemakers — Denv.Her. 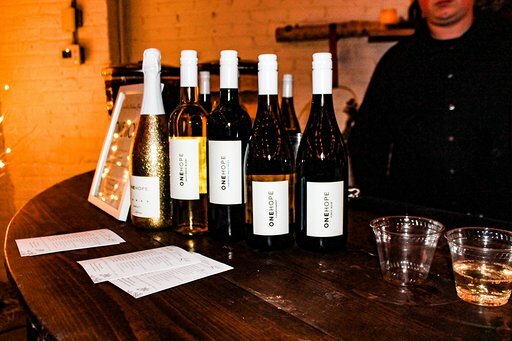 Tassels and Tastemakers is an event thrown in various cities by Be Inspired PR! Be Inspired PR is a fabulous public relations firm that has worked with brands such as Minted, Tone It Up, Marriott, Jenny Yoo, and Warner Brothers Pictures - the firm has also thrown v high shown events and parties for some of our faves (like Bachelorette star, Alli Fedotowsky’s wedding!). 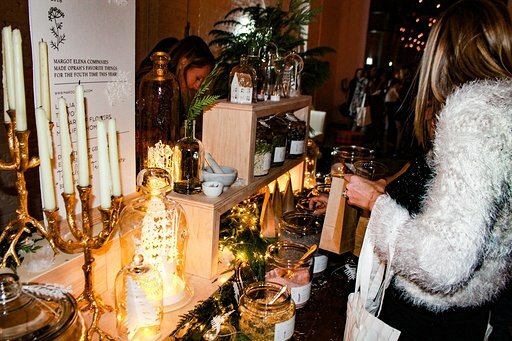 Tassels and Tastemakers mission when hosting these fab events is to highlight vendors they work with in various cities and allow guests to see their work. The result? Mixing and mingling industry makers and influencers where networking and partying go hand in had! We were thrilled to be invited to the Tassels and Tastemakers event here in Denver held at Skylight (a v chic venue off of Santa Fe). This space has an intimate and industrial feel, featuring white brick walls, concrete floors, and garage doors that open to a great back patio sapce. Twinkling lights danced across Skylights ceiling providing nice low lighting for this cocktail party. The DJ, NuFusion Productions, kept Christmas beats going throughout the night for the holdiay ambiance. The party had no shortage of Instagrammable backdrops - from the giant moon and floral display (#overdamoon for dis) to the neon “Sleigh all Day” sign, we could not stop snapping cute pics. The moon and floral display was spectacular - it was my favorite and was staged by Compass and Rose Floral. After getting our fair share of pics around the venue, we indulged in the beautifully displayed cheese, fruit, veggie and popcorn table provided by Sugar Mountain Catering. We paired our cheeses and meats with ONEHOPE Wine (who donated all the wine for this event!). We love this wine brand because they are committed to making a positive impact in the world while providing great wine. They have donated over $3M to causes such as animal shelters which gives us all the feels because #furbabies are life and I need all the puppers. Next, we wandered to the back patio to check out the camper photo booth! We snagged a few props and got to it. The company is Picture Me Camping and will certainly add fun to any event! We then hit up the next food station sponsored by Chef Dane’s Kitchen. Guys I had never had bao buns until this year and I can't get enough. These little asian sammies are to die for and I tried the short rib and pork belly options. As we continued to make our way through the space, we found ourselves in front of a gorgeous display of Bath Salts. Margot Elena had set up. 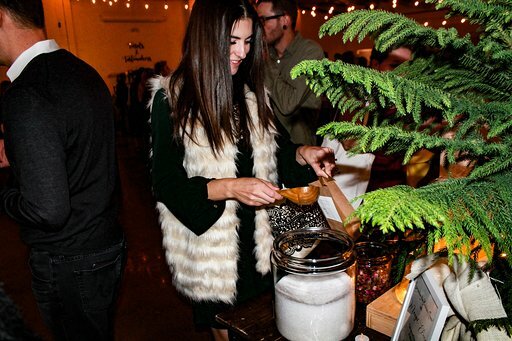 Margot Elena had an entire station where attendees could build their own bath salt combination! There were bases of lavender and rose then you could add other scents to add like black tea or chamomile. Sugar Mountain Catering then enticed us with more treats! We had the most wonderful time at this event and loved getting to meet all the creators who made this event such a success! Signage – Tash Design Co.
Big thanks to Be Inspired PR for hosting denv.her. and looking forward to more fab events in the future!